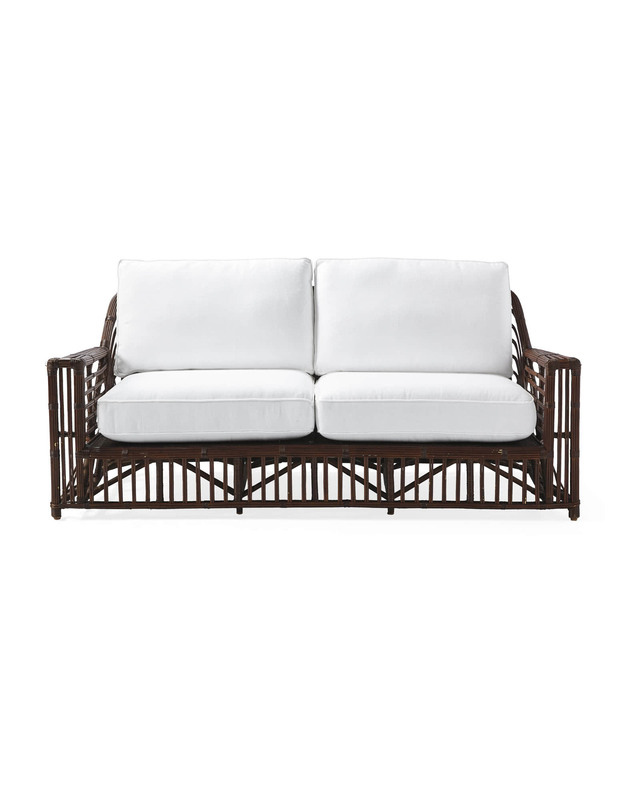 Bungalow SofaBungalow Sofa, alt="Bungalow Sofa, "
Print We’ve always loved the sculptural curves and natural beauty of classic stick wicker styles from the early 20th century. 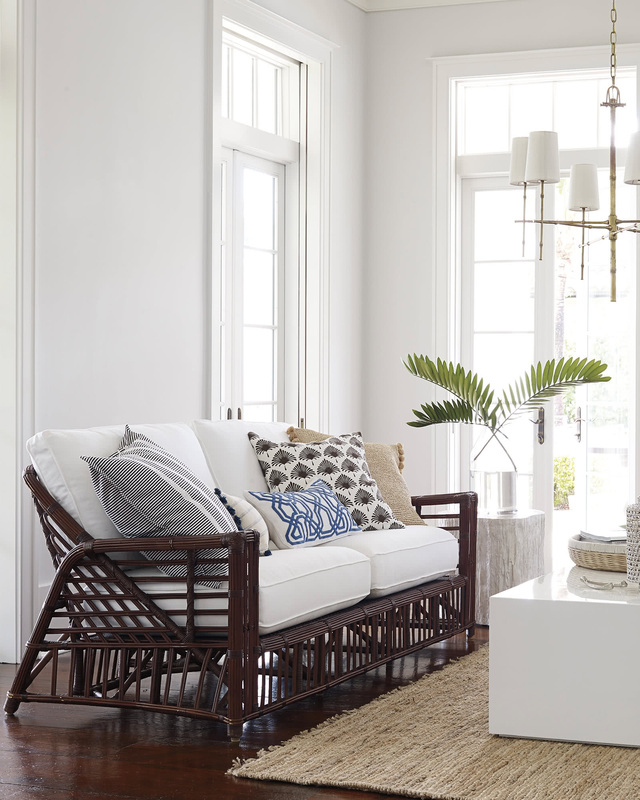 We stayed true to the originals, wrapping sustainable rattan poles with numerous sticks of slender rattan to create these wonderfully angular frames. Seats and surfaces are meticulously handwoven for days to create beautiful hidden patterns, a design tradition that brings artistry to every piece. Our only update? More generous proportions and luxurious cushions for modern day comfort. Skin-on rattan frame with woven and wrapped rattan peel. Plush, soy-based foam-core cushion sewn into 50% cotton, 50% poly blend ticking. Blot spills immediately, and wipe with a clean, damp cloth. 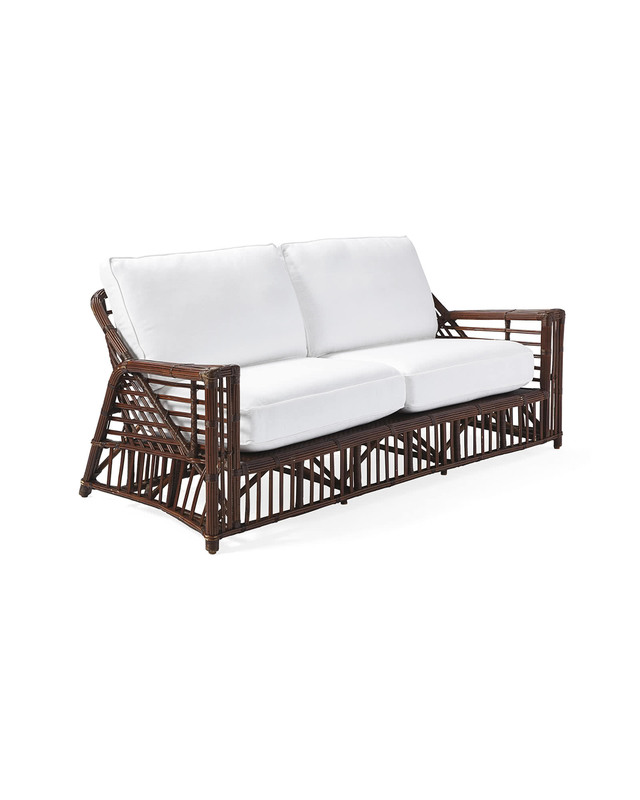 Do not leave rattan wet. Avoid the use of chemical cleansers and abrasives, as these will damage the finish. 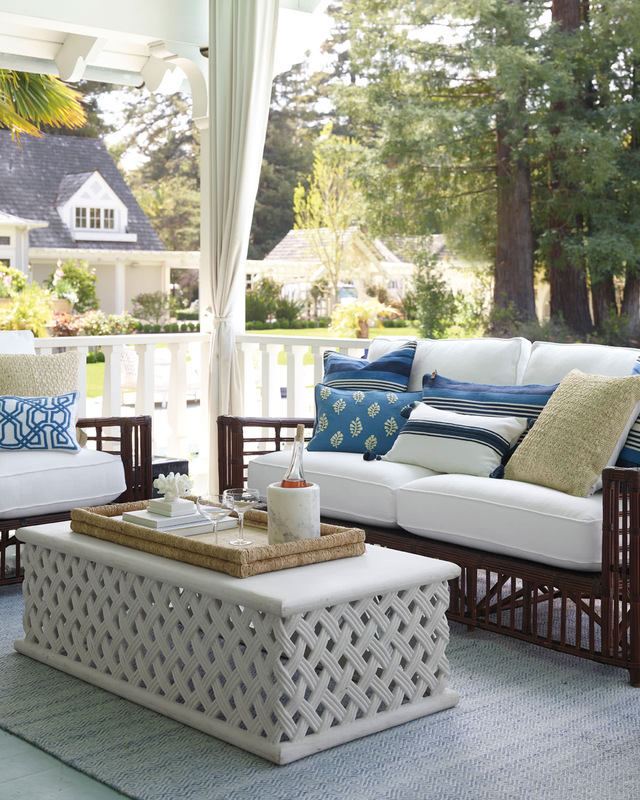 Keep indoors and out of direct sunlight to preserve its beauty. 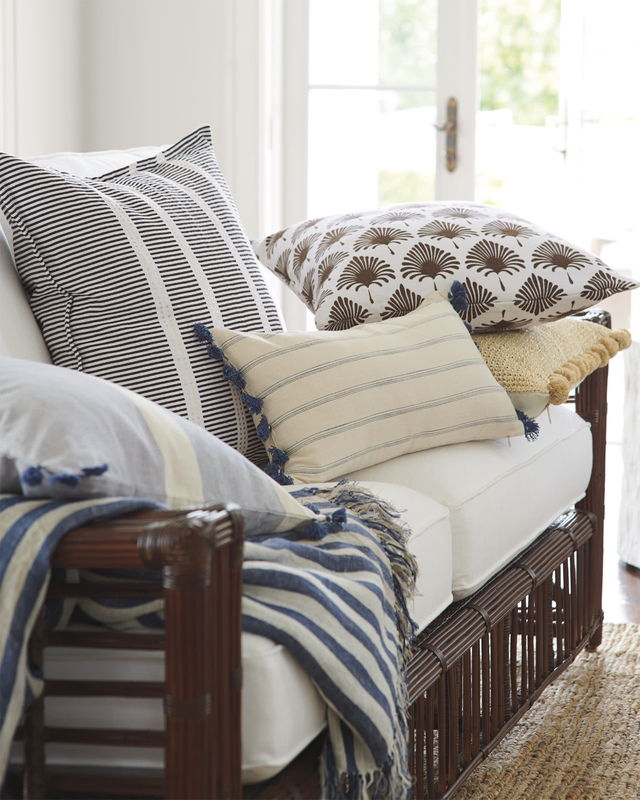 Frame is imported; cushions are made in the USA. 82"W x 36.5"D x 32"H overall. Seat: 71"W x 27"D x 20"H.
Estimated ship date is 7/17/2019.